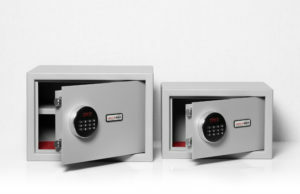 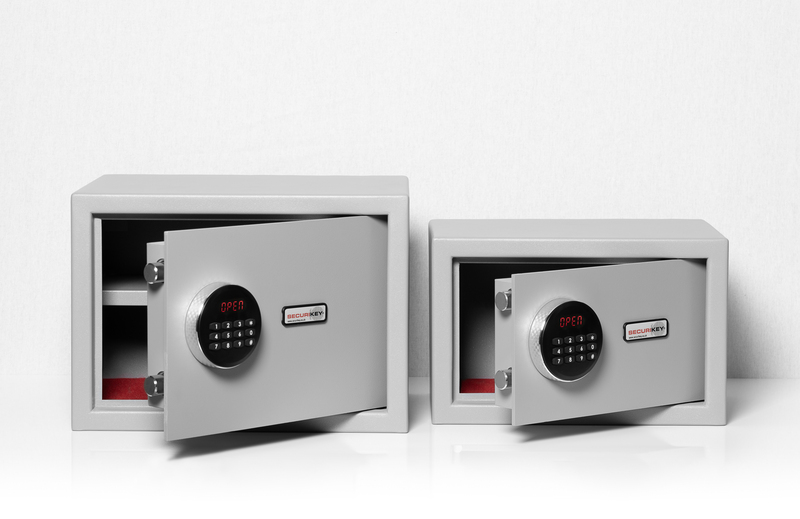 Building on the success of the Mini Vault range, Securikey has now launched a compact and affordable solution to your storage needs with the Micro Vault, available in two sizes. 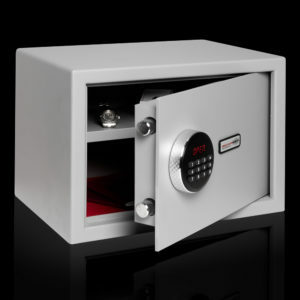 The Micro Vault provides a cash rating of up to £1,000 and will also provide valuables cover of up to £10,000. 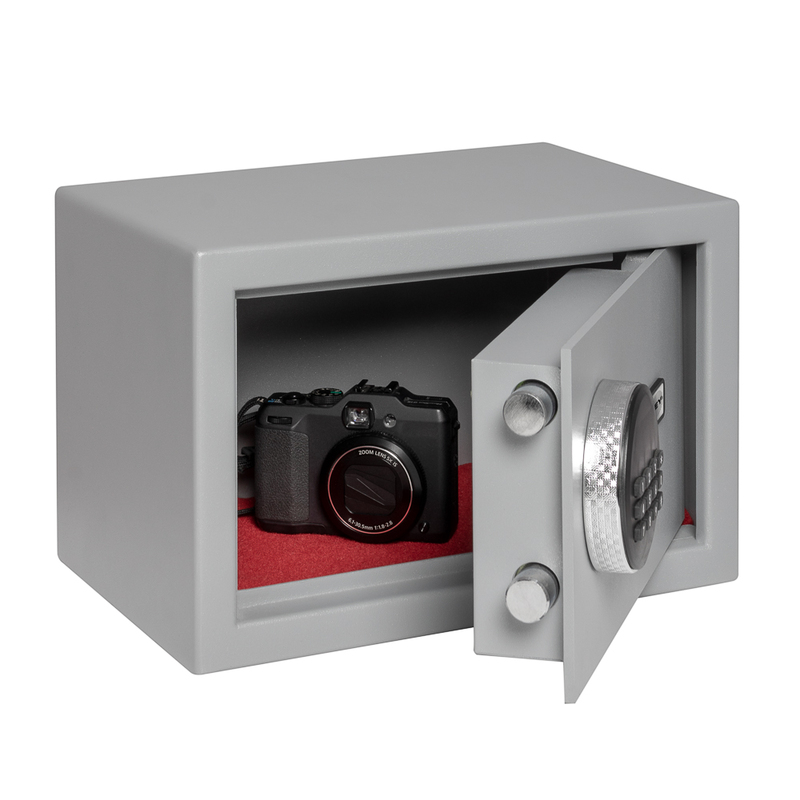 Perfect for domestic environments like home offices where cost and size are paramount, the Micro Vault is available in a discreet grey powder-coated paint finish with red interior carpeted base as standard. The Micro Vault 2, with a removable shelf, fits A4 documents. 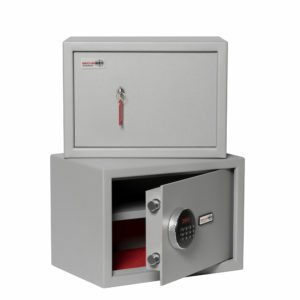 This larger size is fitted with a choice of two locking options: electronic lock with a manual override key for added peace of mind, or the key lock model. The key lock model is fitted with a Euro Profile cylinder, for those customers who wish to integrate their safe and house keys.